Item #: YHWMDS6105V2(8-10) ChongQing HongGong shipped 15 Powerful Engine Hydraulic Pile Driver to Tibet at one time in Year of 2017. 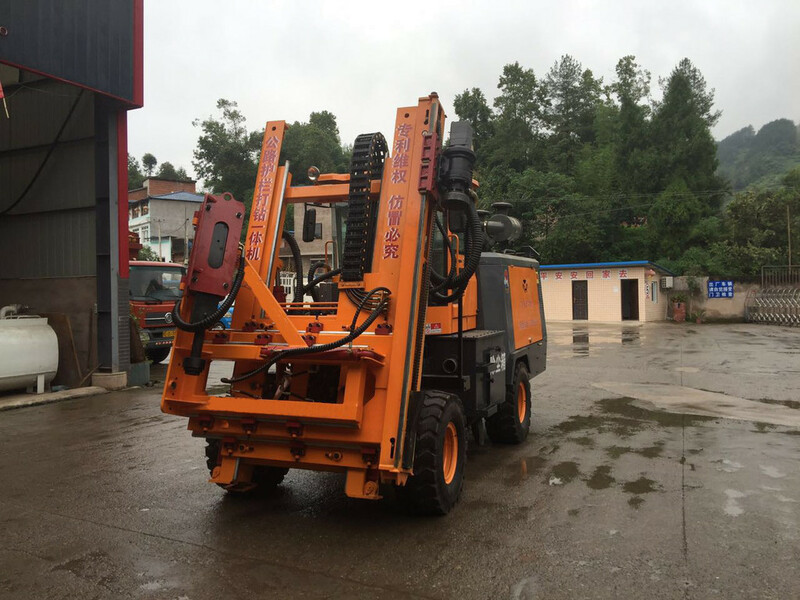 Our Powerful Engine equipped Pile Driver, powerful engine guardrail Drilling Machine works very well especially in plateau section, rough and hard road. The Pile Driver With Screw Air-Compressor has a very famous weicai brand diesel engine with electric starting equipped, has stable performance, simple operation and maintenance and a very long service life. The roading drilling machine, drilling motor is hydraulically operated and the drill is pneumatically operated with an air compressor. The drilling equipment comprises of a hydraulic motor, connecting device, connecting rod, pneumatic percussion hammer and a drill bit. Looking for ideal Powerful Engine Equipped Pile Driver Manufacturer & supplier ? We have a wide selection at great prices to help you get creative. All the Powerful Engine Guardrail Drilling Machine are quality guaranteed. We are China Origin Factory of Pneumatic Pile Driver Machine. If you have any question, please feel free to contact us.